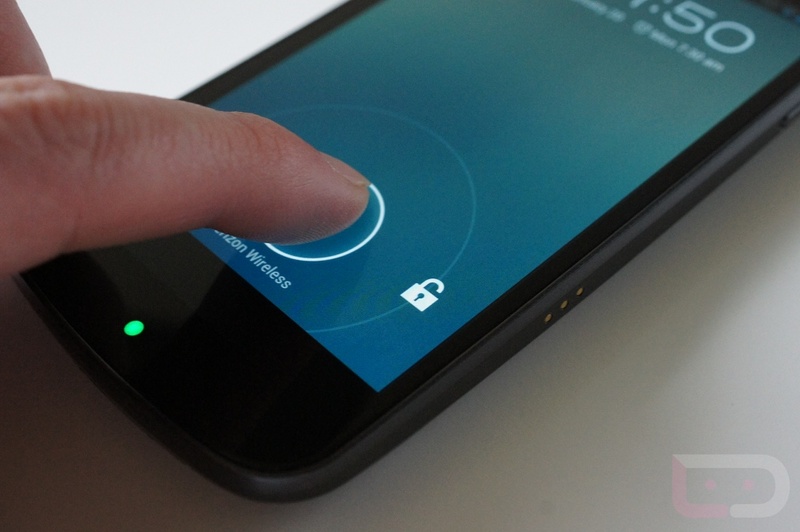 Galaxy Nexus Not Involved in Slide-to-Unlock Apple Patent Case? “We’re aware that there was a hearing involving Apple’s slide-to-unlock feature after our patent infringement case last Friday and a series of products in the Galaxy lineup were accused there, but what we’ve discovered is that the Galaxy Nexus wasn’t one of them,” the company official said. Well, cross that off the list? Should we assume that they are attacking some other Samsung product for using some sort of slide-to-unlock screen? Seems odd, especially knowing the careful measures that Sammie has taken to make their lock screens not slide-to-unlock. In fact, in the newest versions of TouchWiz, you have to touch the screen to activate it, and can then move your finger to either side to trigger the lock to unlock. On older phones, you slide the entire screen off to unlock rather than use a sliding bar mechanism.